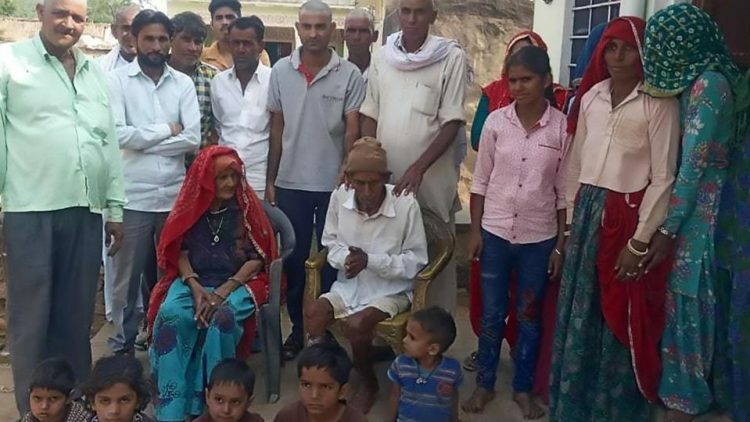 A 95-year-old man from rural Rajasthan , in India, recently stunned his family when he woke up during his pre-funeral bath after a doctor had pronounced him dead. Budh Ram, a resident of Bhaktanwalan Ki Dhani, had fainted on Saturday afternoon, after complaining of chest pain. When his family found him, they called a private doctor, who, after inspecting the 95-year-old’s body, declared him dead. The man’s family then notified his relatives and contacted a priest to perform his last rites. The men of the family shaved their heads as per tradition, and prepared to give Budh’s body a customary last bath. But when they started poring cold water over him, something unexpected happened – the “dead man” miraculously came back to life. “The priest had started the rituals and a barber had shaved the heads of the men in the family. We were about to bathe the body as a customary practice before the funeral procession,” Balu Ram, Budh’s eldest son, told The Times of India. He added that when relatives started pouring water over his father’s body, he started shivering. Everyone was shocked, but they took him to a bed and he soon stood up to talk to them. “He started breathing and sat on the bed soon after,” Balu said. “When questioned by relatives, he said he had suffered chest pain and decided to sleep it off. It is nothing but a miracle”. I think the only miracle here is that the doctor who pronounced Budh dead got his medical license. The 95-year-old’s family said that the upcoming Diwali festival will truly be a special one for them, as they wouldn’t even had been able to celebrate had he truly died.